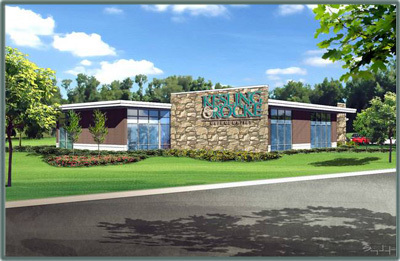 Welcome to the Kesling & Rocke Orthodontics and University Park Orthodontics, conveniently located in Westville. Dr. Christopher Kesling is proud to offer outstanding orthodontic care to every patient who walks through his door. We offer a wide range of orthodontic treatments to meet the needs and desires of each individual patient. No referrals are necessary to make an appointment with our office, and second opinions are always welcome. Great news! We have recently moved our Westville offices into our newly constructed, state of the art facility! Our new building is just half a mile south of our previous location, off Hwy 421 in Westville, at 1675 S. University Drive. We look forward to seeing you soon! Our Westville office is conveniently located between Michigan City, LaPorte, and Valparaiso Indiana. We are easily accessible on Hwy 421, just one mile south of the Indiana Toll Road exit. The office is at the Purdue Northwest main entrance stoplight.